Pawn my Baguette Cut Diamonds- 25 Yrs of Loans on Baguette Diamonds! Loans on baguette cut diamonds and other high-value assets are usually the preferred alternative to relinquishing ownership. After all, the item or items under consideration could well mean far more to you than simply a long term investment. They could be family heirlooms, precious gifts or jewellery purchased to celebrate your own milestones and earnings. Of course, should you wish to sell, jewellery with baguette cut diamonds is likely to be of interest to buyers. The experts at New Bond Street Pawn Brokers appreciate this fact, and know how to attach a realistic evaluation to such prestigious items. This is a gemstone much admired and sought after, particularly set into elegant earrings or rings. Its bold rectangular outline encases terrace like cuts and facets (usually 14). This creates a fascinating effect, and can be preferred to the more common round-cut diamonds. Cutting diamonds to create a flawless finish takes great skill, and should be achieved in a way that maximises the distinctive lustre of a baguette cut. In settings, they often appear alongside smaller round stones in a different colour, such as emeralds and sapphires. If you are passionate about this particular cut – or diamonds in general – you may be interested to note that Kate Middleton’s Wedding Tiara contained 149 stunning baguette diamonds, surrounded by 739 brilliant-cut diamonds. This was the Cartier Halo Tiara which King George VI bought in 1936 as a gift for his beloved wife Elizabeth (the Queen Mother). It is potentially worth a cool £1,250,000. In 2018 a ring containing a rare 10.68-carat lozenge-shaped Colombian Classic emerald and baguette cut diamonds sold for $1.2 million in an auction at Sotheby’s. This is particularly significant as the sale estimate was “a mere” $500,000. Click here to research more about how baguette cut diamonds are crafted. However, a more pressing question could be “How much are baguette cut diamonds worth when loose or in settings?” As well as, “How do I pawn my baguette cut diamonds”? The process – in partnership with our Mayfair pawn broking team – could not be more discrete or simple. You will be benefiting from both our industry insight and our reputation for efficient but empathetic customer service. All arrangements will be confidential and highly professional. Should you need funds fast, loans on baguette cut diamonds and other valuable assets can be provided in an expedited manner at our award winning pawn shop in Mayfair, London. The starting point would be a realistic and insightful evaluation of the value of your item or items. From this, you will receive clear terms for loan value and affordable interest payments. As we listen carefully to our customers, the timescale for reacquiring full ownership of your jewellery or loose stones would of course be tailored to meet your requirements. If you wish to have an initial discussion to research more about pawning valuable assets, don’t hesitate to contact us. Otherwise, we would be pleased to provide a private appointment to start the process of acquiring a loan on baguette cut diamond jewellery or loose stones. For more information on services provided by New Bond Street Pawnbrokers please watch our video here and read about the loan process here. To learn more about our loans on fine art you can visit our diamonds or fine jewelry dedicated webpages. 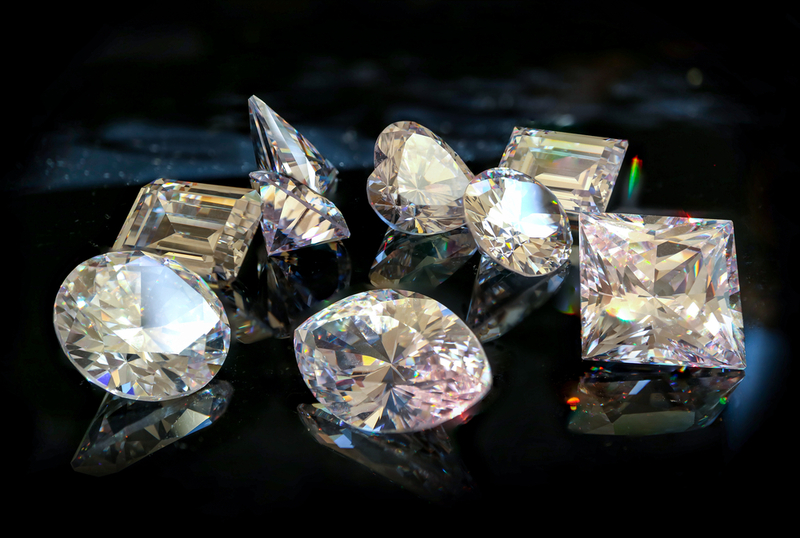 We offer loans against the following types of diamonds: 2 carat, baguette cut, blue diamonds, cushion cut, emerald cut, fancy color, marquise cut, old cut, oval cut, pear cut, pink, princess cut, and GIA certified diamonds. Similarly, some of the many loans we offer are against various types of fine jewellery: diamond earrings, diamond necklaces, diamond rings, and fine brands of diamond jewelery such as Graff, Van Cleef & Arpels, Bulgari, Harry Winston , Tiffany and Cartier to name just a few.